Today I thought I'd take a quick look back at the original Eunos Roadster also known as the MX-5 in the UK and the Miata in the USA. More specifically, we are looking at the history of the special editions available in Japan. Many of which found their way to the UK as grey imports due to their generally higher specification and conveniently being right-hand drive. This image comes from the 1997 SR-Ltd brochure, the last of the Eunos Roadster special editions before the introduction of the NB Mk2 generation. 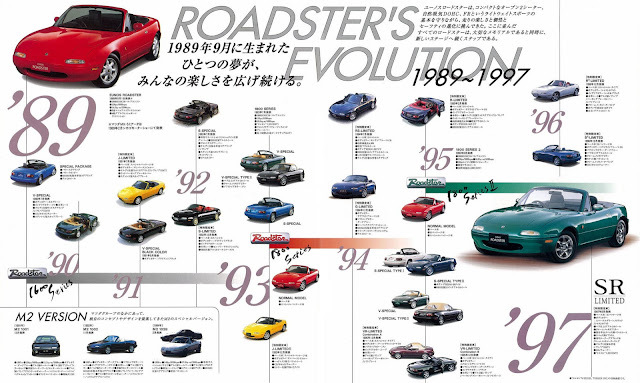 The picture shows the evolution of the Eunos Roadster from 1989 through the years and the various editions that were released during the model's life. It would make a great poster for the garage wall. 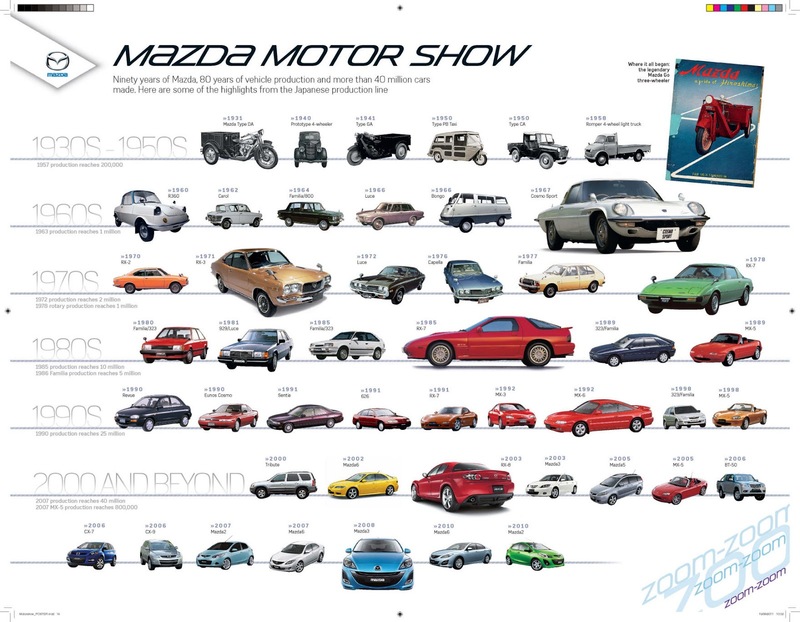 I've also found this poster which I think comes from a motor show, it features the important models in Mazda's history such as the Cosmo and RX-7. Again it would make a nice print for any Mazda fan's garage wall.